Stefanie Rycraft Jones is off to the eastern isle of Spain for some fun, feast, and fashion! 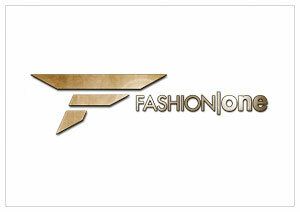 Hong Kong, February 21, 2014 – Fashion One, the premiere international channel for fashion, entertainment and lifestyle channel, brings another installment of the Stefanie's Style Diaries fashionista travelogue. Fashion correspondent Stefanie Rycraft Jones gears up for one of the biggest fashion events of the year, London Fashion Week. In doing so, she travels to the picturesque island of Lanzarote for a much-needed retreat in one of the world's most exclusive resorts, Club La Santa. Let us experience the sights and sounds the Spanish island has to offer in this 2-part mini series. From fitness activities, exotic dishes, island lifestyle, beautiful landscapes and everything in between, this is Stefanie's Style Diaries: Lanzarote. Born through fiery eruptions, Lanzarote's breathtaking surroundings nestles one of the most renowned holiday resorts in the world, Club La Santa. The club has been a favorite getaway spot for sports enthusiasts, celebrities, holidaymakers and athletes as they enjoy the relaxed and luxurious setting paired up with more than 30 different fitness and sports activities to choose from, for people who live or crave an active and healthy lifestyle. Club La Santa sets the perfect venue for Stefanie's 'Fitness Bootcamp' as she teams up with the 'trainers of the stars', Transformers Fitness Group, with the aim to sculpt her body in time for the dizzying spectacle of London Fashion Week. For a full body blitz, Stefanie will learn about the perfect shaping steps as well as enjoy the fun and adventures in the island paradise. "Lanzarote is the best kept secret island getaway for celebrities and professional athletes who want to get their bodies fit while enjoying the sun, sea and the comforts of an exclusive holiday resort," Stefanie boasts, "It's time for me to shape up before London Fashion Week and what better way to do it than at the playground of the rich and famous." "Being an insider's style, travel, and lifestyle guide for travel enthusiasts, Stefanie's Style Diaries showcases the unknown side of the well-known travel hot spots to our audience. This also further exemplifies our commitment to producing quality original content that is relevant and relatable to our viewers." shares executive producer, Ashley Jordan, "Fashion One is looking forward to introduce more luxury lifestyles and authentic cultures in different parts of the world." Stefanie's Style Diaries: Lanzarote premieres on March 12 and will be shown every Wednesdays at 22:00 (GMT+8 for Asia / GMT+1 for the rest of Europe), exclusively on Fashion One. Check your cable operators for your local TV channel listing. Stefanie's Style Diaries is a Fashion One original travelogue series. The show is created by executive producers Michael Gleissner and Ashley Jordan, with Stefanie Jones and Maurizio Von Trapp as series producers. To learn more about Stefanie's Style Diaries and her destinations, please visit www.fashionone.com/stefstylediaries or post your comments on @fashion_one #StefStyleDiaries.